Jeta Xharra’s speech on the Oslo freedom forum in it’s essence reflects the theme of “challenging power” and we hope she can inspire us too in our conference. 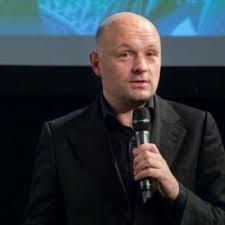 Jeta Xharra is the Kosovo director, editor and presenter of the television show “Life in Kosovo” that has become the most watched current affairs program in Kosovo. Through the show she opens up taboo topics that the society shied away from approaching. She has a rich journalistic background, working for BBC News in Kosovo, Albania and Macedonia. Her first experience with journalism was when she was 18 years old working as a fixer/ field producer for BBC News and Channel 4. She lived under the repressive Milosevic and actively fought to ensure freedom of speech in an area as complicated as the Balkans. Even now through her program she calls out politicians for their fake promises and strives to make her country and the extended area on the Balkan peninsula as open as possible. Sophal Ear fled the Khmer Rouge as a child, and moved to the United States at the age of ten. Having overcome genocide and poverty, he is today a world-renowned expert on international unrest, non-traditional security, epidemics and pandemics, and how to rebuild countries after wars. He is an author and he wrote and narrated the film “The End/Beginning: Cambodia” 2011) based on his 2009 TED talk and has appeared in several other documentaries. He is also and consultant for the World Bank, Term member for of the council of Foreign Relations, Young Global Leader of the World Economic Forum and holds various other positions and fellowships. He additionally advises the Cambodian center for human rights. Sophal is an educator, a researcher, a filmmaker, an inquirer. He is a critic, a challenger, a firecracker. On the 5th of February, Sophal Ear will speak in the Closing Ceremony of the International Peace Conference 2017. Clara Kooreman has been a member of International Peace Brigades for the past two years. She has been a field volunteer and she is going to be talking about how an NGO like IPB can challenge power while sharing her experience on the field. Clara graduated from Utrecht University and then the University of Amsterdam where she studied about development, human rights, power and identity and politics. 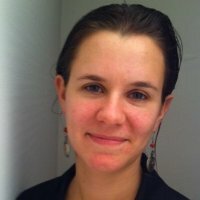 She has been a board member at IPB since June 2014 and she has also volunteered in Peru and has done fieldwork in Mexico. She interned for the Dutch Ministry of Foreign Affairs and was a field officer at the IPB’s Colombia project that connected Dutch and Colombian youth. She is currently working at SCIOPENG, a social organization that helps individuals, municipalities and companies to understand laws and the social structure better. As a world-renowned peace activist, Scilla Elworthy has been working on mapping out the skills we need - as nations and individuals - to challenge and fight extreme force without using force in return, and will therefore focus on the essentials of nonviolence. Elworthy is a three-time Nobel Peace Prize nominee and a recipient of the Niwano Peace Prize. In 1982 she founded the Oxford Research Group, an NGO and think-thank aiming to develop effective dialogue between nuclear-weapons policy makers and their critics. 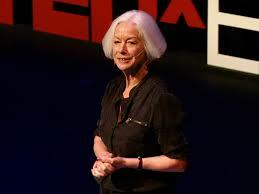 From 2005 she was adviser to Peter Gabriel, Desmond Tutu and Richard Branson in setting up The Elders. Scilla’s passion is to is to enable leaders to make wise decisions so that there is less suffering as a result of war. She does this by bridging the personal and the political, and creating safe spaces where policy-makers can talk openly to their opponents.